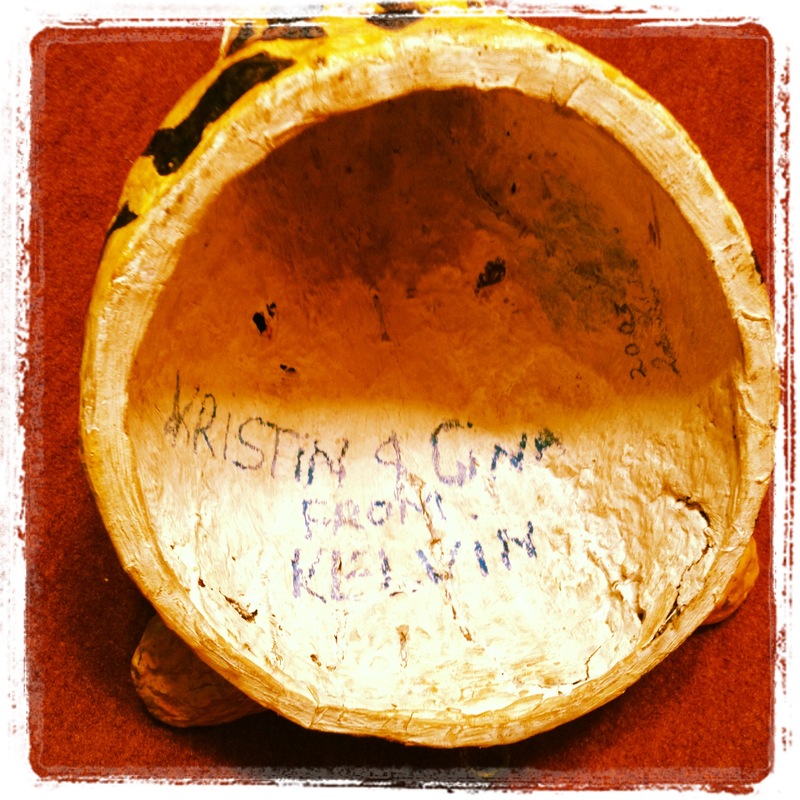 Back in 2003, Kristin Dearth (then Carlson) and Gina Hobbs (then Brandini) received a lovely paper-maché cheetah head from a street boy named Kelvin as a gift. When Kristin and Gina were leaving Zambia in April of 2004, they just didn’t quite have enough room for the cheetah head in their bags and left it with me (Derek). 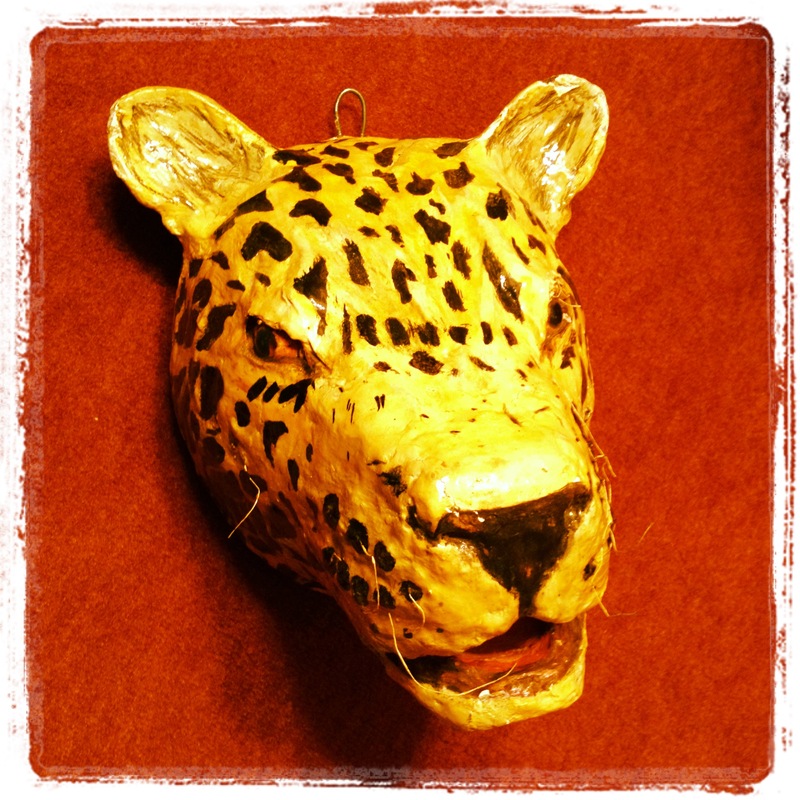 The cheetah head followed me through a couple of living quarter transitions, but sometime before Glenn and Liese Ripley returned from their home assignment in the spring of 2005 I hung it up on the wall in the kitchen at Camp Timothy. There it would stay forgotten to the world until the Stranbergs moved into Camp Timothy and noticed an interesting cheetah head hanging on the kitchen wall. I left Zambia in October 2005 with the cheetah head still gracing the decor of the Camp Timothy kitchen. But in May 2006 when Blake Walburg (then Walburg) was leaving Zambia to come back to America, the Stranbergs gave the cheetah head to Blake to give back to me, even though they had really liked it hanging up in their kitchen. When Blake and Melody Walburg got married here in the Twin Cities in 2008, we gave them the cheetah head. Blake and Melody then gave it to Shawn and Gina Hobbs out in CA for their wedding in 2009. Shawn and Gina gave it to Steve and Kacey Ripley for their wedding in 2010 down in Kentucky. Steve and Kacey then gave it to Nathan and Lydia Michels for their wedding in 2012 back here in the Twin Cities. Then Lydia gave it back to us for a baby shower we had this past week!! So there you have the riveting tale of the cheetah head. It’s probably not as riveting as “Merl the Squirrel,” but it’s a charming little story nonetheless. This paper-maché cheetah head is now almost 10 years old and is starting to crack and look a little faded. But it looks pretty good for traveling from Zambia to Minneapolis…out to San Jose, CA…down to Kentucky…and back up to the Twin Cities…and has now been present for 6 milestones – 5 weddings and a baby shower. I’ll definitely be sending this to Stevu at Boot Camp! It was hard to part with that cheetah head after 2 very long years! I love this story about the cheetah head! Its very symbolic of love united through africa.